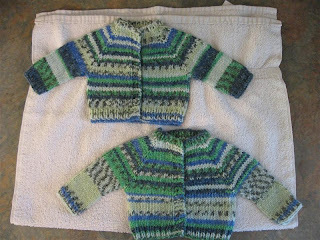 Dynamite Threads: A couple of quick cardigans. I knit one of these last week and another over the weekend at the cottage. I posted a picture of the beginning of the first one last week. These ones only take 2-3 days to finish in my spare time. 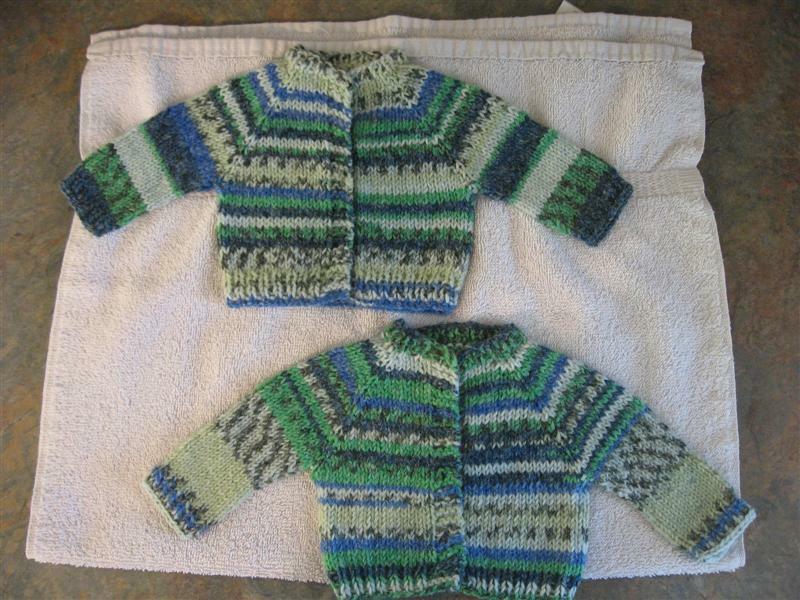 They are knit with a self patterning fair isle yarn, leftovers from a sweater my mom knit for my son. It's DK weight (double knitting, which is a bit thinner than worsted) on #4 needles so it works up a lot faster than sock yarn on #2 needles. The top one is for the store and the bottom one is for my little guy's doll. Thanks for looking!